"Get in there, Frank," he yelled as Bruno tried to follow up. The line remains one of the most iconic in the history of media coverage of British boxing. Years later, Carpenter - who died in 2010 - would tell a BBC documentary that he was "ashamed to this day" of what he described as "unprofessional" behaviour at the mic. But the urge to take sides - and in his mind lower his standards - was forged during years of close contact with Bruno. "You know what I mean, 'Arry," became a catchphrase as their post-fight interviews attracted a following that was akin to double-act idolatry. Carpenter's quandary was familiar: in charting the lives and careers of the souls whose blood leaves stains on the canvas and whose feats make hero-worshippers of us all, how close is too close? From world champions to journeyman triers, boxers invite us into their gyms and even their homes, and their accommodating warmth can be interpreted as a burden as well as a privilege. When they produce a lousy performance in the ring or transgress outside, our judgement is bound to be shaped by any bond created beforehand. Honesty is easy when commenting from a distance - but face to face? 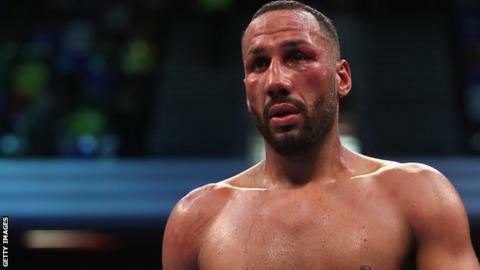 Just over two years ago, when walking back to the dressing room at the Barclays Center in Brooklyn after James DeGale had fought to a draw in a brutal fight against USA-based Swede Badou Jack, the Briton was complaining that he had been hard done by. He felt he had won and asked me for my verdict. I've known DeGale since the build-up to the 2008 Olympics and was well aware that he wanted - possibly needed - to hear an endorsement of his own view. But I had scored the contest in favour of Jack and though human nature was begging me to lie, I told the truth. When we reached the dressing room, he gave me the kind of interview that wrenches the gut. One of his front teeth was missing, he was cut on the cheekbone and lumps were vying for space on his face. Family and friends were imploring him to drink and rehydrate as he lisped his way through his reflections of the kind of ordeal that shortens a career. In buying the commentary rights to big fights, TV and radio networks often get clearance in areas other media personnel are forbidden to enter. It was an interview few other outlets, if any, would get - and it made for powerful radio. In terms of my professional duty, job done. But given DeGale's state of mind and body, should I have put the microphone away before even pressing the record button? Later in 2017, DeGale lost his IBF super-middleweight title to American Caleb Truax in a massive upset at the Copper Box in London. My review of the contest was cited by DeGale when we met at the initial news conference in London for Saturday's fight against fellow Briton Chris Eubank Jr at the O2 Arena in London. "I listened to your thing [podcast] after my fight and you basically said I was shot," he said. "That hurt me a little bit. But listen, you judge me after this fight and we'll speak then." 5 live Boxing with Costello & Bunce: Fury gets paid, but what about Wilder? In November, criticism came my way on social media for persisting in an interview with Tony Bellew after he had been knocked out by Ukraine's Oleksandr Usyk in Manchester. Bellew's answers became repetitive and some listeners were concerned he needed medical attention and should have been spared my inquisition. Bellew is among the most giving of sports stars in embracing media demands and here was another instance of a conflict between professional and personal instincts. He later spoke for half an hour at the official post-fight news conference and had I not got his reaction earlier at ringside, the BBC Radio 5 live audience could have complained justifiably that an important part of the fight-night story had been overlooked. And Bellew, who has worked alongside me on 5 live's coverage in the past, is well aware of such imperatives. Big-fight weeks are comprised of a series of set-piece events - usually a public workout, the final news conference and the weigh-in, in that order. The tension increases as each passes and the weigh-in often carries an overload of angst. A mask of intensity comes down over the face of most boxers at this stage as they complete the transition into beast mode. I was once told in no uncertain terms to go away by a world champion when I approached him for an interview soon after he had weighed in. For many boxers, the first battle is raged against the scales and the relief at making weight is matched by the desperation to begin the replenishment process as soon as possible. When the mood is already dark, a microphone can be an unnecessary distraction. Fight predictions can be influenced by the relationship between boxer and reporter. Getting behind the man who has been generous with his time during the build-up is a temptation; ignoring such tendencies is a necessity, even though picking against certain characters can feel like a betrayal. This week, DeGale - like many before him - is drawing on the words of naysayers for inspiration. Speaking last week at his gym in north-west London, he repeated his grievance against me. "I promise you, Mike, I'm looking forward to proving you wrong."